Oman’s real estate market witnessed slow growth in 2018 but there were improvements in certain areas, according to Cavendish Maxwell, a leading real estate consultancy and chartered surveying firm. The real estate transactions increased by 1.2 per cent compared to 2017, although sales contracts decreased by a percentage point, stated the expert in its Oman Market Report for 2018. This marks the second comprehensive report on the health of Oman’s real estate industry, covering the residential, office, industrial, retail and hospitality sectors within the industry. The unique, in-depth market report was compiled by the firm's in-house strategic consulting and research team, in collaboration with its extensive client and partner portfolio, based on official data from the National Centre for Statistics and Information (NCSI), Ministry of Housing and the Ministry of Tourism in Oman. Commenting on the report, Khalil Alzadjali, the head of Cavendish Maxwell in Oman, said: "Other significant areas of development besides the real estate market have been the tourism and industrial sectors, with new hotel room inventory and industrial estates expected to be added in 2019." The 2018 report highlights the positive impacts of new visa regulations for tourists, allowing more international visitors to enter easily and spend longer periods in Oman. It also offers insights into existing and upcoming hospitality infrastructure across the sultanate. On the residential sector, Cavendish Maxwell said the prices continued to decrease as demand remained subdued overall. 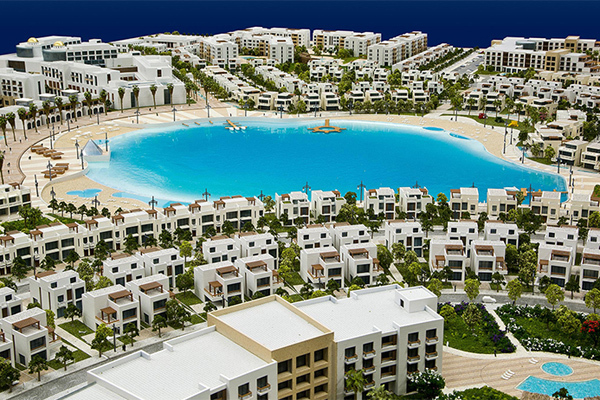 Muscat’s residential market continues to be oversupplied with apartment blocks, despite a gap in the market for high-quality villas and townhouses, it stated. On the office sector, demand for business centres increased in 2018 as a result of firms downsizing and seeking fitted office premises at lower costs, said the real estate expert. Demand for Grade A stock is expected to remain stable and developers should benefit from current market conditions and lower costs to build, it added. Cavendish Maxwell pointed out that despite weaker consumer sentiment and sluggish market conditions, the retail sector witnessed developers adding more space to the existing stock in Oman, particularly in Muscat. In 2018, several new malls entered the retail market, including Landmark Group’s Oasis Malls in Sohar and Salalah, it stated. Al Araimi Boulevard, Mall of Oman and Mall of Muscat will all add more retail space as they near completion, it added. On the hospitality industry, Cavendish Maxwell said new regulations and incentives from Oman’s Ministry of Tourism have helped boost the sector in a big way. There are currently 72 hotels under construction in Oman, amounting to a total of 6,604 rooms. By the end of 2019, 55 of those developments are expected to be completed, adding 4,763 rooms to the sultanate’s hotel supply, providing a much-needed boost to the tourism infrastructure, it stated. On the industrial sector, the property expert said Oman’s total merchandise exports rose by 30.9 per cent during January to September last year, compared to the same period in 2017, despite growth in the industrial sector being muted due to reduced global prices and weaker consumer sentiment. Government initiatives like The National Program for Enhancing Economic Diversification (Tanfeedh) and the establishment of new industrial estates offering investors tax exemptions and competitive advantages on imports and custom duties could provide the necessary boost to the sector.